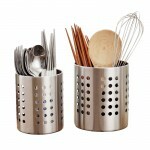 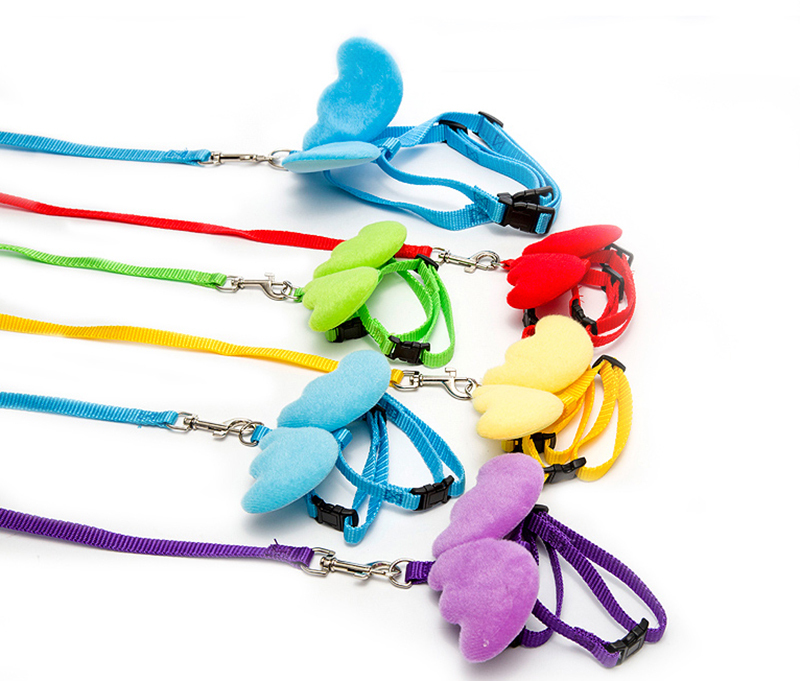 It is lightweight and easy to wash.
Nylon material is waterproof, and so cleaning is very easy, and will soon dry. 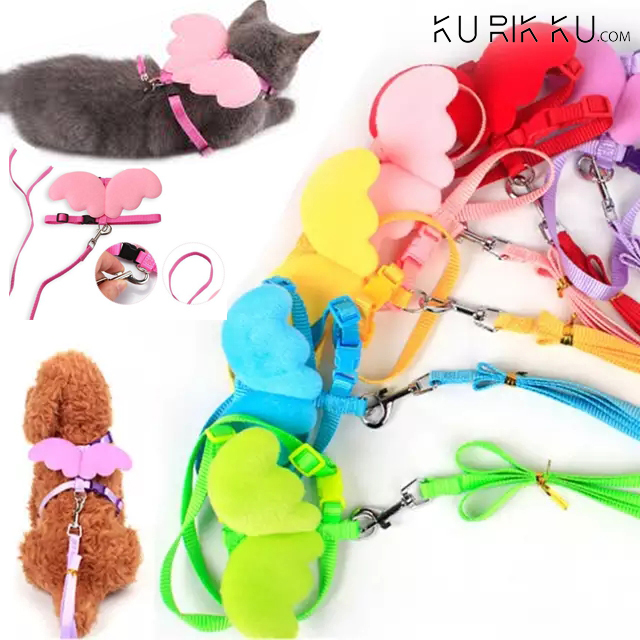 Chest braces getting dressed up is very convenient, this model can force uniform, parents in the pull of the dog, not only easy to control also will hurt your pet. 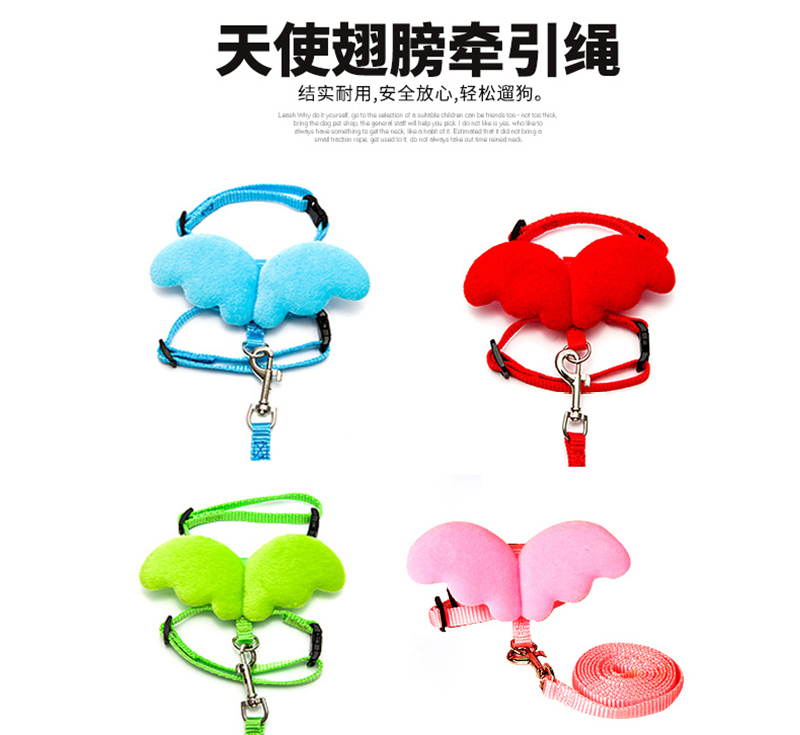 Chest straps used the grid design, breath ability performance is really good, especially suitable for use in hot summer. 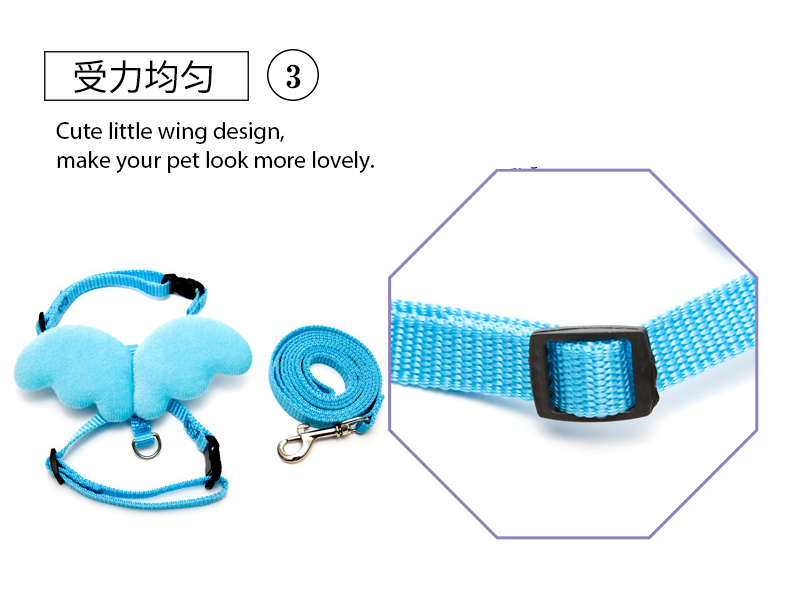 Cute little wing design, make your pet look more lovely. 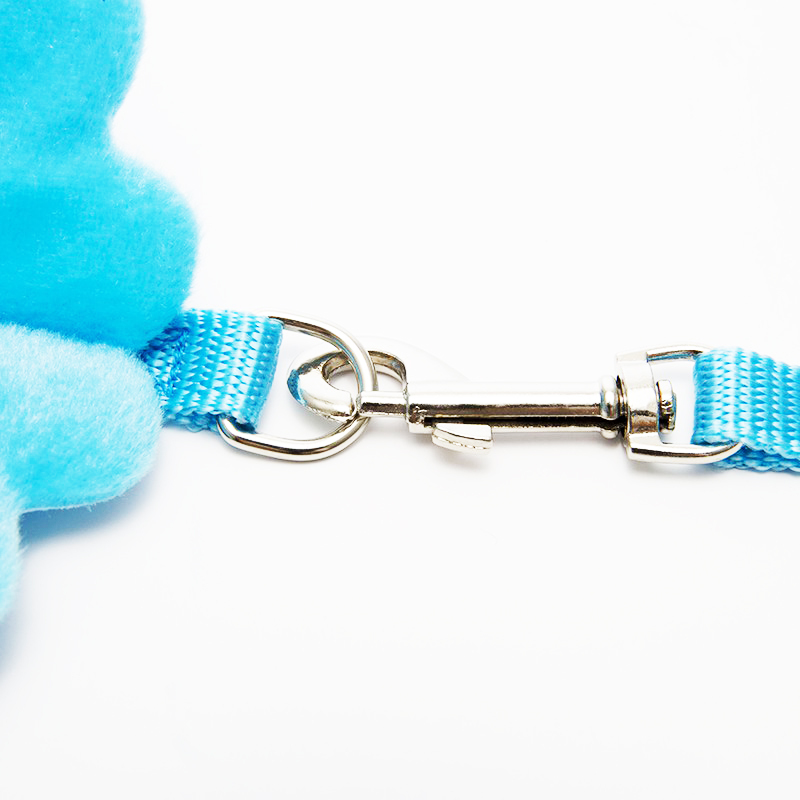 Keeps your puppy, drivers and passengers safe while on the road. 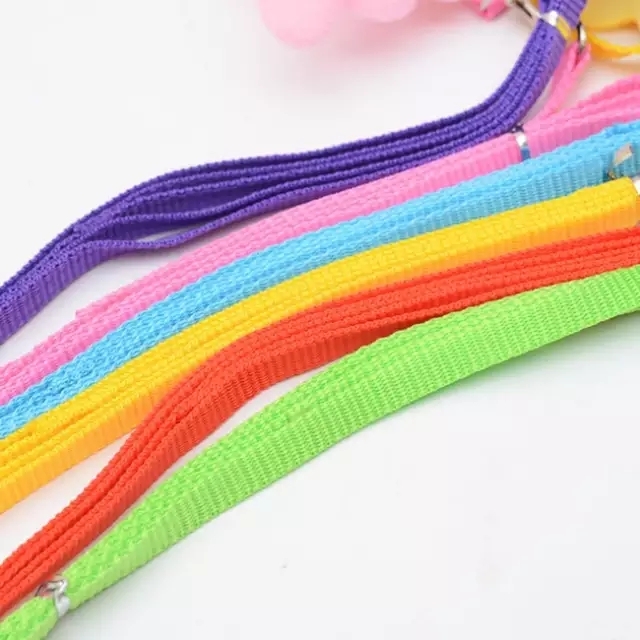 High quality nylon with woven strips.